3x4.25 custom right facing shape sticky adhesive notes – 50 sheets are perfect to take off the competitive pressure and buy attention for your brand. This adhesive notepad suits healthcare marketers such as hospitals, clinics and more. 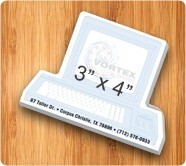 They can easily position it for complementary or individual gifting during tradeshows, or on regular business days. 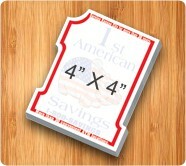 We offer exciting price savings on wholesale orders of these right facing sticky notes. Avail free online design proof and free full color printing on each sheet. 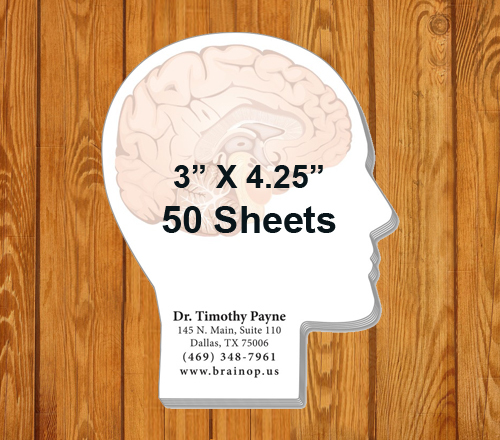 Request a quote to know the value savings that you can avail on bulk orders 3x4.25 customized right facing shape sticky adhesive notes – 50 sheets.